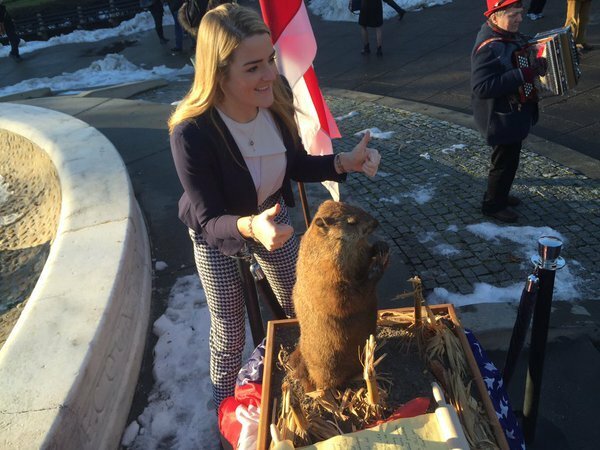 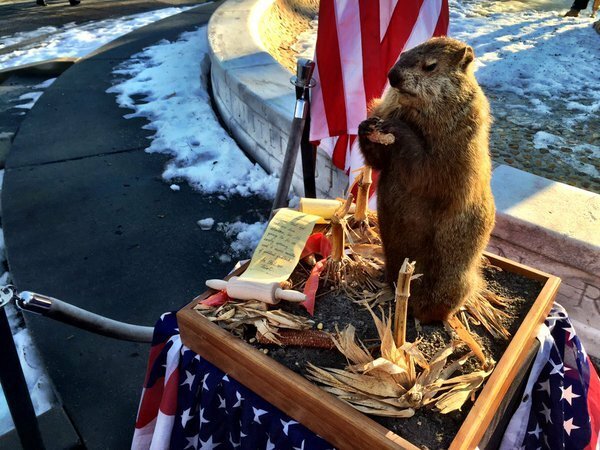 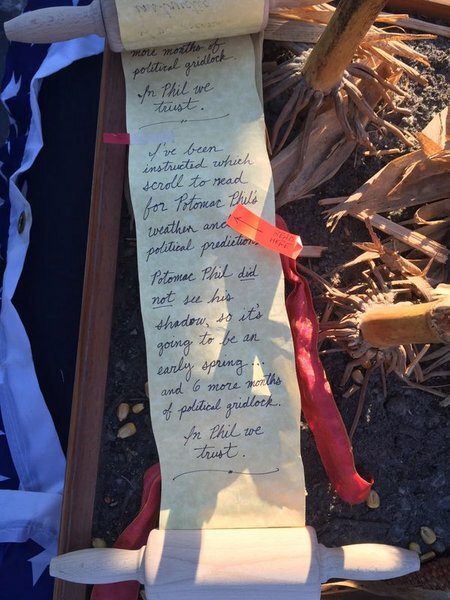 Potomac Phil, a stuffed groundhog, makes his fifth appearance to predict the weather and political climate in Washington. 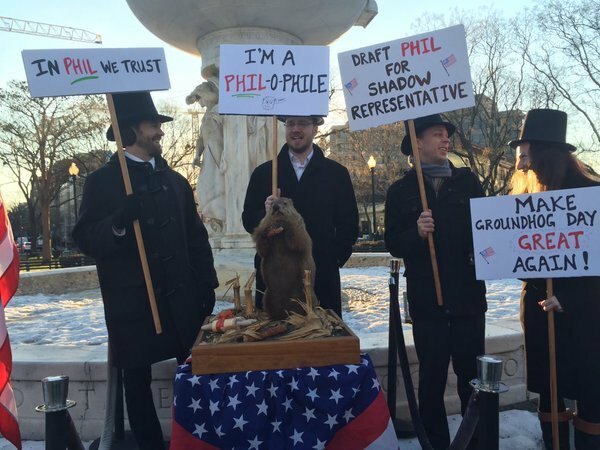 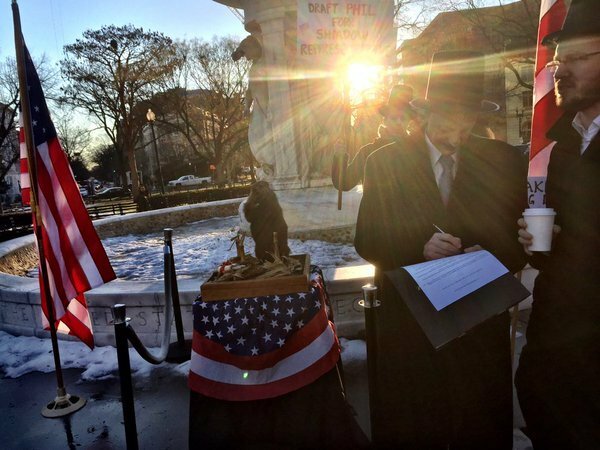 Groundhog Day at Dupont Circle. 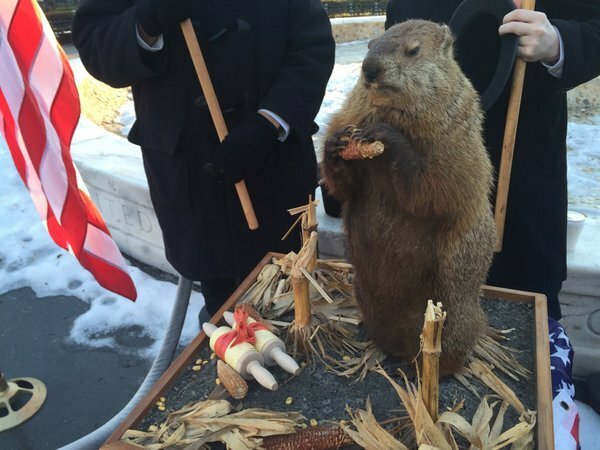 Will he see his shadow?